Responsive design is all about enhancing the user experience depending on the screen size of the device being used. Here are some responsive web design examples with some CSS and jQuery tips and tricks. 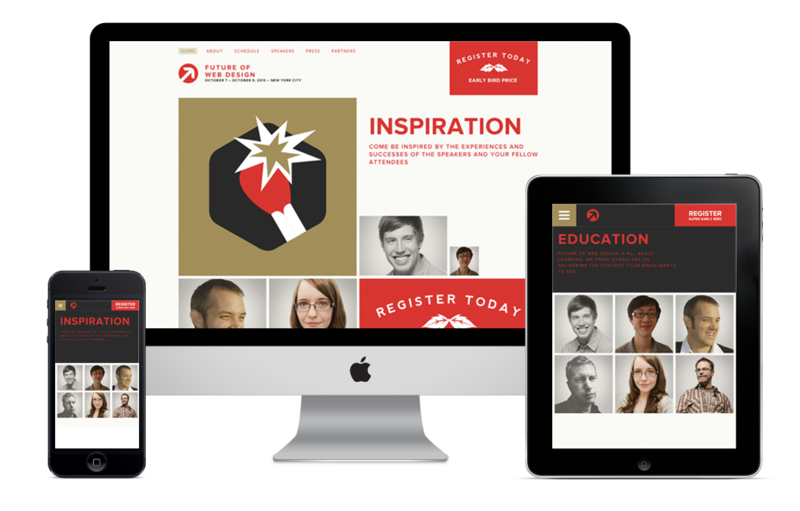 Responsive design is slowly becoming synonymous with web design. With the continued increase in smartphone and tablet usage, the responsive approach to the web is here to stay. But it is still a relatively new technique with some speed bumps and hurdles to overcome. Below, find some of my favorite responsive web design examples along with some code tips to better understand the techniques used. Disclaimer: It’s going to get pretty nerdy. If you’re new to responsive design, you might want to start with Responsive Design in the Real World (Part 1) or Responsive Design in the Real World (Part 2: for Designers and Coders). 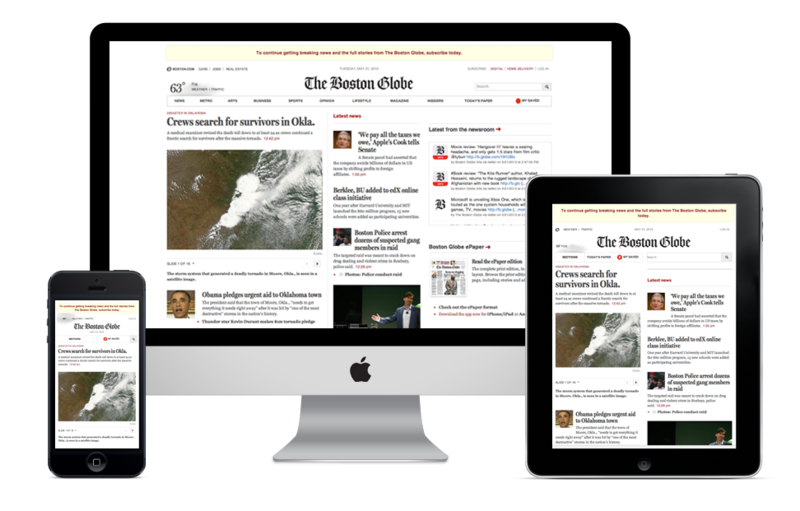 Boston Globe has one of the most remarkable responsive websites. 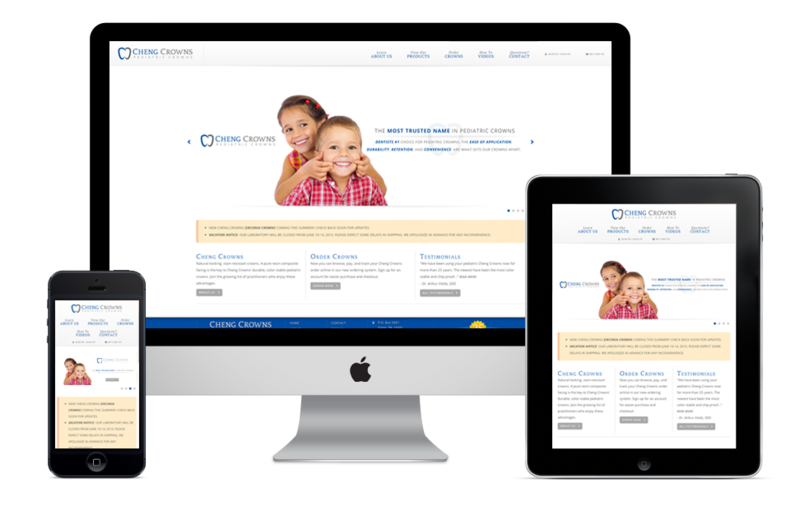 Launched in 2011, it set the bar very high for all responsive sites to follow. While there are many aspects of the site that are done exceptionally well, I’d like to focus on a small detail that is done in a simple and efficient manner. The weather is displayed in the top left of the menu at all times, and the amount of information you see is dependent on the width of your screen. At the max-width of 1232px you see the temperature in a large (39px) serif font, with the weather description and an illustration to represent the description. The weather <div> is float:left, and the illustration of the weather is cropped with the combination of overflow:hidden and bottom:-50px. All pretty standard stuff that most users wouldn’t bat an eyelash at. As you resize your screen and get to a width of 809px, the Boston Globe logo gets a little too close to the weather illustration, and the site begins to respond. The illustration shrinks (max-width:120px). The large serif temperature font becomes a small sans-serif font (11px) in line with the weather description. Also, the weather <nav> gets a position:absolute and slides to the top of the header. As you continue to scale down your browser to a width of 619px, the logo slides to the left, the weather illustration gets bigger (max-width:45.833% of container) and it moves to the top of the header (position:absolute; top:1em;). Shrinking your screen even smaller to 479px centers the logo and reduces the weather to just a slightly larger illustration (width:75% of container) and the temperature. The weather description disappears with a negative left value. This example of responsive design is nicely straightforward and efficient. It is all accomplished with media queries, some simple css, and high attention to detail. The Future of Web Design website is built on a solid responsive grid. With thorough and precise code, the website lives up to its name. The menu at tablet and mobile sizes is what really impresses me. As you scale your browser down, the menu disappears and is replaced with a small menu icon in the top left. The menu then slides in and out from the left side of the screen. The menu options are in <li>s within a <ul class=’nav nav-list’>. The <ul> is positioned absolute to remain at the top of the page. The <li>s are all display:inline-block and they float:left to make a simple inline menu that has a flexible system for the responsive changes going forward at smaller sizes. At a width of 767px the menu collapses so it can hide and show from the left side of the screen. This is done with a value of left:-80% that is equal to the width:80% of the menu container. The menus <li>s also stack with the display:block attribute and the <a> tags within get some color changes and a background-image of an arrow. When the menu icon is clicked, they use the new CSS3 transition technique transform: translate(80%,0). The 80% is the x-value that’s equal to the left:-80% of the menu container. The body also gets the attribute overflow-x:hidden so that the main content area can slide over without adding a horizontal scrollbar. This transition actually occurs because of a little bit of jQuery that adds the class .js-menu-open to the <html> tag when the menu icon is clicked. Overall, it’s a rather simple and nifty solution to a seemingly complex piece of functionality. While I do really enjoy the effect, the usability nerd in me has a slight issue with hiding the main navigation from the tablet or mobile user. 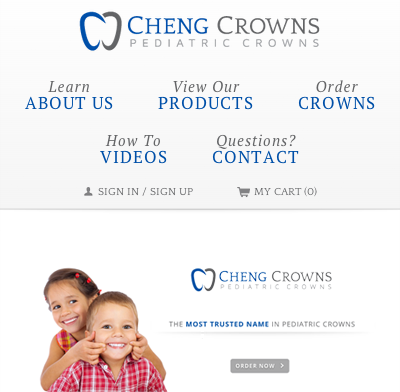 Regardless, the website in general is a great responsive design example. Responsive design is all about serving up the right content for the right screen size. Too often, I see videos and images that don’t resize properly to tablet or mobile screen sizes. 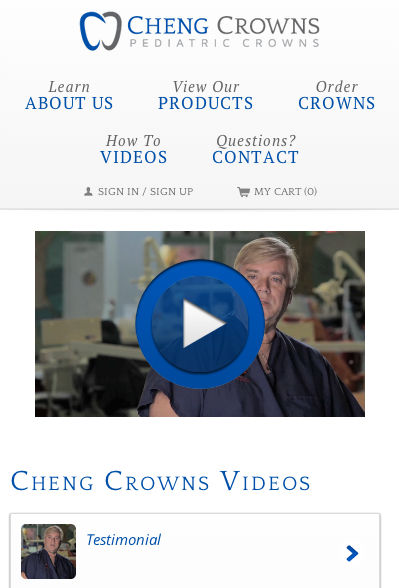 At Brolik, we recently completed a responsive ecommerce website for the company Cheng Crowns where we implemented a few solutions to fix these problems. We developed a jQuery plugin called Responsive Img that swaps out an image’s src attribute based on its container’s width. In layman’s terms, the site shows an appropriately sized image based on the size of the browser. With the use of a PHP file, Responsive Img creates new images at different sizes the first time they’re needed and puts them on your server. Therefore, you can add Responsive Img to any site, without creating new images at different sizes. Overall, it’s a simple solution to a common problem that most web designers encounter when designing responsive websites. This way, a mobile or tablet user will see images sized specifically for their size screen. This allows you to serve up the right content to the right users with minimal effort and setup. Basically, on window ready, load, or resize, this function grabs the width of the video container <div>. It then multiplies that by 0.5625 to get the correct aspect ratio for the height and resizes the video appropriately. It’s worth noting that when the video is played it expands to full screen. Very simple and totally seamless. Responsive design will continue to grow as the web continues to diversify. Users will continue to access the web from devices other than desktop computers, and web designers and developers need to plan accordingly. It’s important to note with the responsive design examples above that with simple solutions and smart planning, you can create a responsive experience to suit all screen sizes and resolutions of today and tomorrow. Check out another article I wrote about two techniques to create a responsive web design menu with the actual HTML, CSS and JQuery to make it happen.